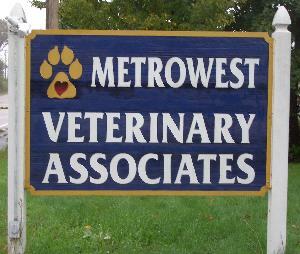 Metrowest Veterinary Associates, Inc. is open Monday through Saturday. Office hours are by appointment and may be made by calling us at 508-478-7300. Emergencies may be seen without an appointment during our hours of operation (please call ahead if possible to let us know that you are coming). After hours emergencies are referred to one of several Emergency centers in the area. Contact information for the local Emergency centers can be found by clicking HERE, or by telephoning the clinic after hours. Phone messages left after hours will be returned when the clinic reopens.